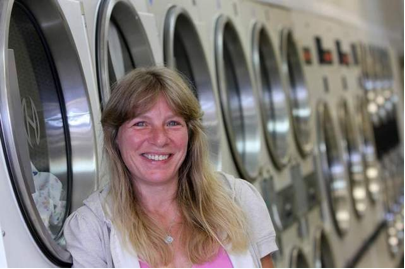 HOWELL, New Jersey — Chrissy Pardun, 44, of Jackson has been operating Shore Suds Laundromat in Howell Plaza on Route 9 for well over a year. Inside, washers and dryers line the wall, and the space is filled with the slight hum of the machines. This is the life that Pardun has grown into after months of struggle. On April 20, 2011, her life changed forever. Pardun’s husband, Brett, died unexpectedly at age 40 after a heart attack. Brett was the owner of the coin-operated laundry at the time, and after he passed, Chrissy decided she wanted to take over the store as a way to remain close with her three children: LeAnna, 7, Vanessa, 9, and Brett Jr., 13. Pardun was unfamiliar with how to run the business, as she had sold auto parts for 15 years before taking over. Brett Pardun opened Shore Suds in 2001 and operated it until the day he died. “It was something out of the blue, and no one expected it,” Pardun said. The transition was far from easy for Pardun, but much like the idea behind the laundry business, she took a messy situation and cleaned it up. Pardun said the process of getting the laundry business turned over to her was not easy. She struggled to gain access to the business bank accounts, because they were in her husband’s name. This forced her to operate on a shoestring budget, which made things difficult when machines would break. “It was killing me to see the out-of-order machines, but there was nothing I could do,” Pardun said. This cycle passed after about six months, and since then Pardun has found a way to make it work. She had no idea how to fix the machines, as it was something her husband did, but now she goes to all lengths to learn how. The shop recently added some new larger dryers to accommodate such items as bigger bedding. It was a little costly for Pardun, but so far they have worked greatly and have been positive for business. Michele Gordon, 40, of Howell began working at Shore Suds Laundromat in April 2011 and has been working beside Pardun throughout the transition. Pardun still misses her husband greatly, but his memory is alive in her thoughts. She only regrets not having learned from him how to fix the machines in the store. 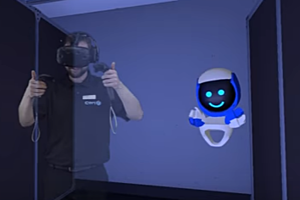 “A lot of the time he’d rattle on about what would be wrong with a machine or how he’d fix it, and I’d sort of half listen, and now I’m like, I wish I listened a little more closer,” laughed Pardun. Running a business and going through the loss of a loved one are two things that can be difficult. Pardun urges people in similar situations to keep believing in themselves.